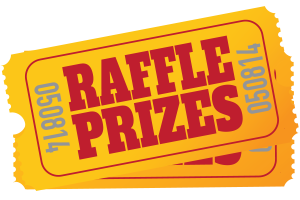 The drawing for our annual raffle was held on October 26th. Please click here to take a look at the results, and congratulations to the winners! Mt. Sac is offering a FREE Math Workshop to help students prepare for the SAT & ACT examinations. Classes begin on November 6th and are held on Tuesday and Thursdays. Please see the attached flyer for more information. Mt. Sac is offering math and science tutoring starting on Monday (10/8). Tutoring will be offered on Mondays and Tuesdays from 4-7. Student can come in with their parents to enroll on the first day they attend tutoring. Please see the attached flyer for more information. Incoming Freshmen and returning students can apply for scholarship for the 2019-2020 school year. Apply online through our Scholarship page. Alumni, Come support Cardinal Varsity Football as they face the Salesian Mustangs this Friday @ 7PM. Free admission at the Development tent in the Repetto Parking Lot. Tried and True Tutoring is offering SAT Boot Camp classes on the CSHM campus this fall, beginning October 16th. There will be three courses for $99. This is a great opportunity for students to learn various test strategies and to prepare for the upcoming November SAT. Please see the attached flyer for details on enrolling your child. If you have any questions, please contact Mrs. Rossi-Reta at ext. 529. Tried and True Tutoring is offering SAT Prep classes on the CSHM campus this fall. The price is $299. Mundo Academy's free SAT Bootcamp is available at Puente Learning Center; El Centro de Ayuda has Monday SAT classes for free. This coming spring, Puente Learning Center is offering a twelve week SAT class for a $100 refundable fee. 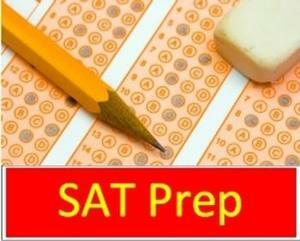 All CSHM students are encouraged to take SAT prep classes to improve their SAT scores. Remember, most colleges and universities use SAT scores as one of the determinants for admission. See the attached flyer for more information. All students and families are invited to the annual CSHM Family Mass on Tuesday, September 11 at 6 p.m. in the gym. Please join us for this special time of prayer.